They are found in sphagnum bogs. It has a nodding, purplish-red flower on a tall stalk. 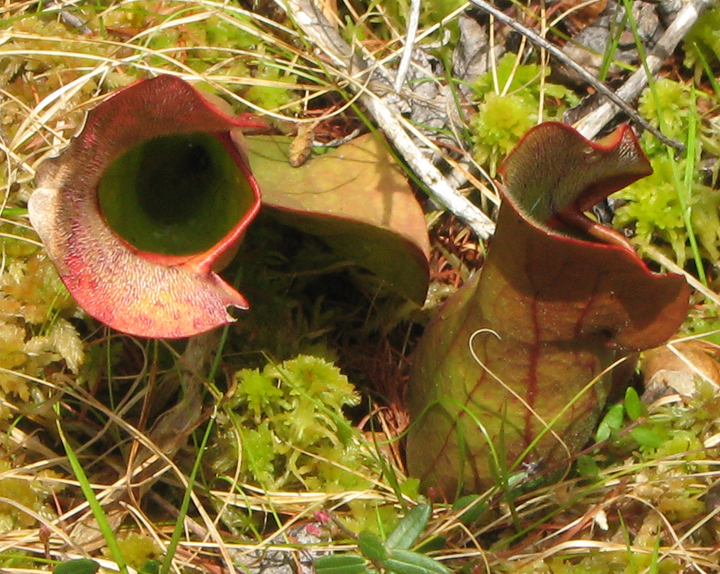 The leaves are long, hollow “pitchers” that are green with purple veins. 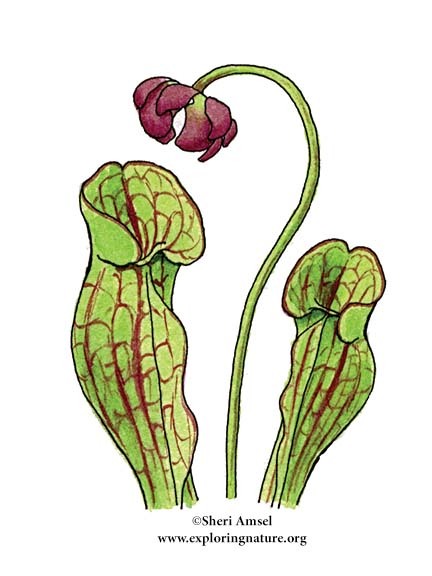 It is an insect-eating (insectivorous) plant. Its leaves have downward-pointing hairs inside that let insects walk down, but don’t let them walk back out. They fill with water to drown the trapped insects. They bloom June through July.